someone is from the province or from away is the collection of museums, rich with interesting historical information and paraphernalia. Visit our museums on the peninsula to learn about what each has to offer. Started by local resident Alonzo Saunders, the back in time museum does just that. 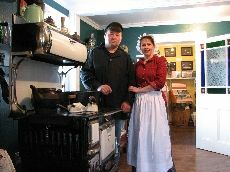 It takes visitors back to what life was like in Newfoundland before all the modernization. The museum has a great variety of historical pieces ranging from guns, kerosene lamps, hand tools, furniture and pot bellied stoves. With Mr. Saunders on hand offering a great knowledge about the various artifacts, history really comes to life in this step into the past. 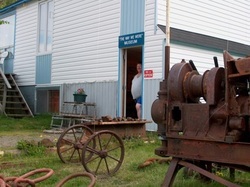 The Miners Museum in Baie Verte has an entourage of information about the areas rich mining history. There are many samples of different types of minerals that can be found in the area as well as examples of equipment that was used in the past. Students are on hand to take people through the museums and explain how mining has shaped the physical, cultural and economical landscape. Upstairs there is also a collection of wildlife skins displaying some of the provinces different fauna. 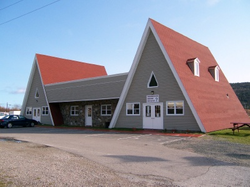 The museum in La Scie is located in owner Larry Whalens' parents home. This museum offers a great reflection on outport life also on some of the peculiarities of the historic French Shore. There are many examples of how people thrived in the old way of outport life from cookware, dishes and even furniture. There are also some very interesting pieces and information on the French Guardians. These Irishmen were hired to protect French property from Englishmen living in nearby Shoe Cove when the French had left for France after the summer fishing season. French Shore artifacts can also be found at the museum including a replica of a chaloupe which was the small boat used by the French to fish these shores years ago. This humble museum is well worth the ride down the dirt road into Tilt Cove. Based mostly on pictures of how Tilt Cove has changed over the years this is a favorite for those who have some ancestral connection to the area. 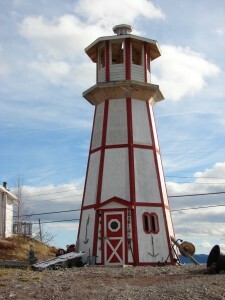 A fishing village that boomed when a cooper mine was discovered, the Tilt Cove mine was first founded during a time when Newfoundland and Labrador was still its own colony. In 1916, the population peaked at around 1500. Today just a handful of families hold on. Don and Margaret Collins who run the museum are a great asset to learning about the history of the area. whale and iceberg watching experiences.